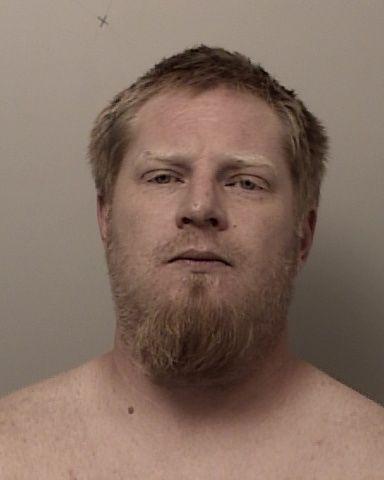 On November 17th, 2016 at 6:10 am, the El Dorado County Sheriff’s Office Dispatch Center received a 911 call reporting a possible domestic violence situation at an apartment in the 3300 block of La Canãda Drive in Cameron Park. According to the reporting party, there was an armed man holding a woman and her baby against their will at the apartment. Responding Deputies were able to confirm the circumstances reported in the call and shortly after making contact with the involved parties, the woman and the baby were released, but the man, now identified as 37 year old Dylan Robert Johnson, refused to surrender to Deputies and indicated he was heavily armed. Deputies secured the scene and called for Crisis Negotiators and SWAT, and began evacuating surrounding apartments. Extensive negotiations began with Johnson, which lasted for several hours. Eventually, Johnson fired one of the weapons inside the apartment. After Johnson fired the weapon, tear gas was fired into the house. Johnson refused to surrender, and began and continued to indiscriminately shoot weapons for several hours and the standoff continued into the night. Due to length of this event, mutual aid was requested from Folsom PD and their SWAT team responded to assist with this incident. At 2:10 am, Johnson moved to an open doorway and began firing directly at SWAT personnel and SWAT vehicles at the scene. Due to the immediate threat to the public and to the officer’s safety, a SWAT officer shot and wounded Johnson. SWAT Teams moved in and took Johnson into custody and immediately began treating him for his injuries. Johnson was transported to a local trauma center for further treatment. The El Dorado County Sheriff’s Office Critical Incident Protocol was also immediately activated as is standard procedure when any officer involved shooting occurs. This is a multi-agency team of investigators from the Sheriff’s Office, California Highway Patrol, Placerville PD, South Lake Tahoe PD, and the District Attorney’s Office. This team will conduct the investigation into this incident. The investigation is currently underway and due to the extensive crime scene, there are still some evacuations in place and some road closures in place. As is common procedure, the officer(s) directly involved in the shooting have been placed on administrative leave and at this time will not be identified.